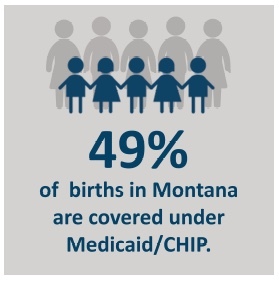 The Children’s Health Insurance Program (CHIP) provides vital coverage for thousands of Montana’s children. Federal funding, however, expired at the end of September 2017, jeopardizing financial stability for families and for the state. Congress created CHIP in 1997 to expand coverage to children in families with incomes too high to qualify for traditional Medicaid, but who may not be able to purchase insurance or receive coverage through an employer. In Montana, CHIP and Medicaid operate under the Healthy Montana Kids (HMK) umbrella. This includes Children’s Medicaid, a CHIP-funded Medicaid expansion, and a separate CHIP program. CHIP in Montana covers families with incomes up to 261% of the federal poverty level (FPL), or $64,206 for a family with two parents and two children. Chip-funded Medicaid expansion covers families up to 143% of FPL ($35,178). 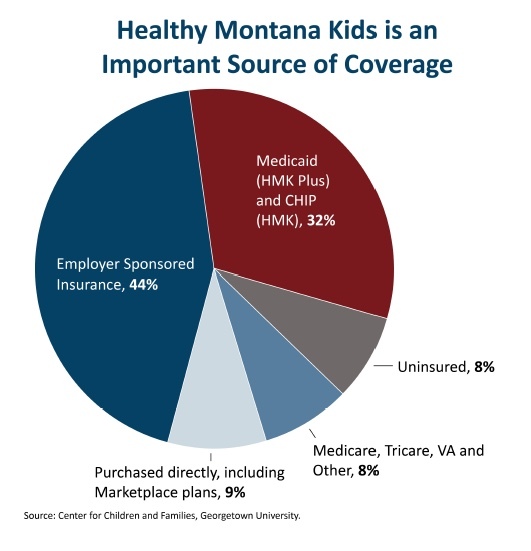 One out of every three children in Montana receives their health insurance through HMK. 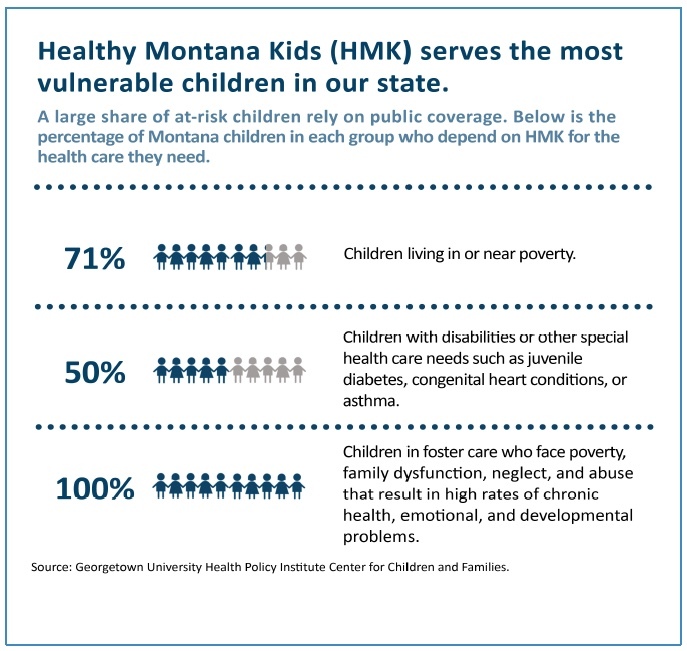 HMK is especially vital for the youngest Montanans. Half of all births in Montana are covered through HMK. It also covers forty percent of infants, toddlers and preschoolers. Medicaid insurance coverage in childhood leads to better health in adulthood – including lower blood pressure, fewer hospitalizations, and even fewer deaths in adulthood – according to research. Children who receive Medicaid coverage are more likely to graduate high school and attend college. Medicaid insurance coverage reduces bankruptcies, thereby improving families’ financial stability. Montana schools also benefit from Medicaid and CHIP. Montana schools receive $55 million in Medicaid funds – $36 million of which is federal. Schools use this funding to hire school health care staff as well as pay for health supplies that benefit all children. Thanks to the Affordable Care Act, Medicaid and CHIP, 92 percent of Montana’s children now have health insurance coverage. With the expiration of CHIP funding, healthcare coverage for 8.9 million children nationwide is in jeopardy. Montana would be required to continue to provide the CHIP-funded Medicaid expansion, although it would no longer receive the higher federal match rate. Montana could potentially hold new enrollment in the separate CHIP program, or end the program entirely, endangering insurance coverage for tens of thousands of Montana families. Montana cannot afford to provide coverage to CHIP families without continued federal funding, and Montana families cannot afford to lose their children’s health insurance. Our elected officials in Washington, DC must act immediately to continue this vital program.